We are pleased to announce the newest addition to The Chicago Project, Peter Hoffman. Peter is a photographer living and working in Lisle, Illinois – a small suburb about 30 miles west of Chicago. 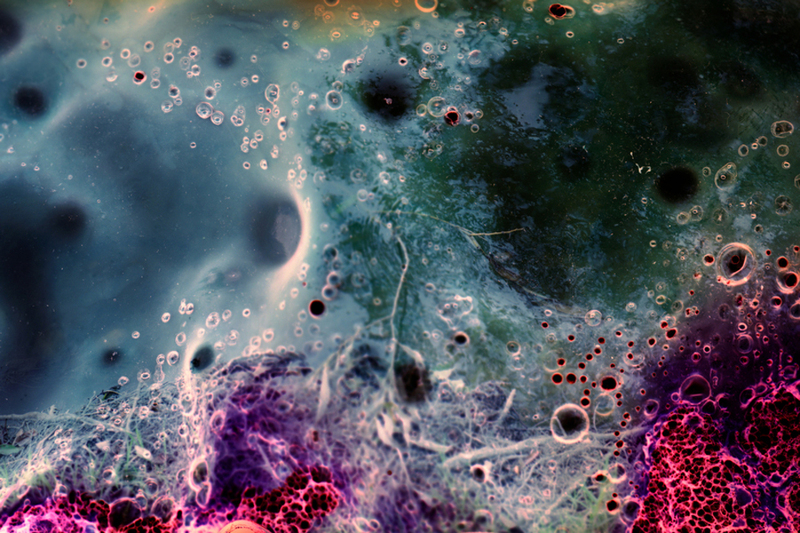 Peter focuses on personal works that tend to address questions of an existential nature. A theme that he repeatedly explores is that of how we can best exist in harmony with our surroundings (both natural and constructed). In his projects he often uses a defined location as a limiting element. Most recently, his personal work brought him to Christchurch, New Zealand. Peter has also been commissioned to do work for various media outlets such as The Guardian, The New York Times, NPR and The Wall St. Journal. We are looking forward to exhibiting Peter’s work as part of CEG’s summer exhibition, The Chicago Project V: Selections from our Online Gallery, July 12 – August 31, 2013. Below are a few of Peter’s images along with his artist statement. Be sure to visit The Chicago Project website to see more of his work. Fox River Derivatives is a series that questions our relationship with our natural resources. 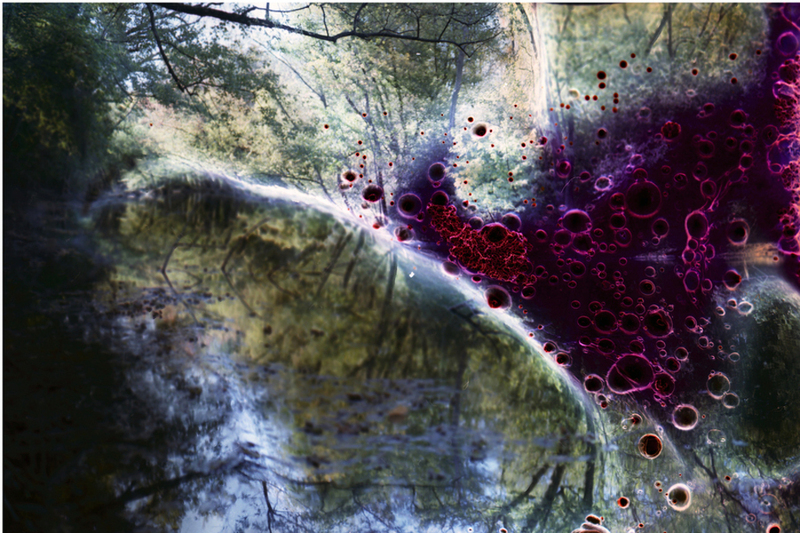 Using the theme “Water and Oil”, with consideration to the large BP Oil Spill in the Gulf of Mexico in 2010, the images are part of a larger experiment that utilizes water and fossil fuels in the actual image-making process, letting these substances become an important variable in the visual representation. 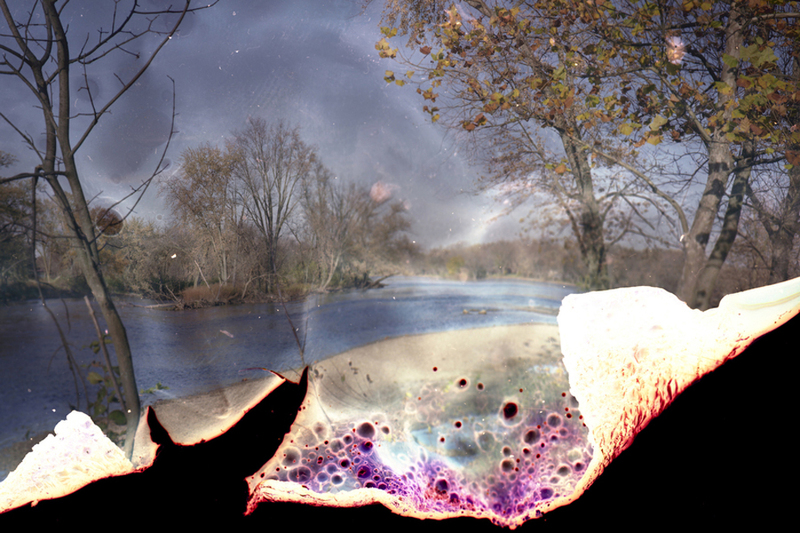 Photographs are made along the Fox River which passes through both untouched rural areas and consumer-oriented suburban sprawl.